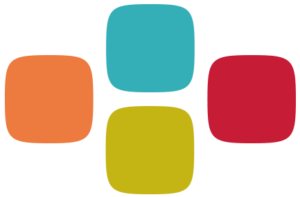 (r)evolutionäre Ideen is a Berlin-based consultancy offering strategy development, communication and facilitation services. We work with clients in the fields of politics, civil society and research. 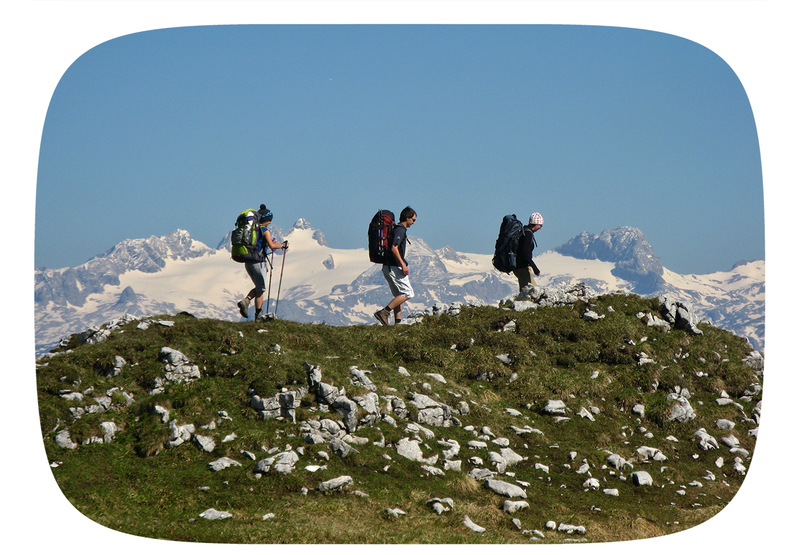 Our approach incorporates traditional strategy consulting with participation and design. 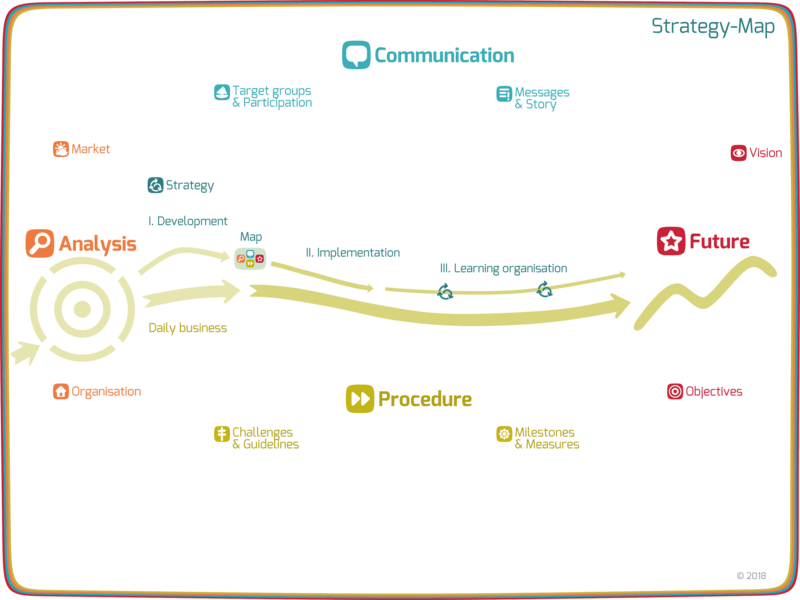 We have designed a strategy map that allows you to visualise, design and manage your projects. 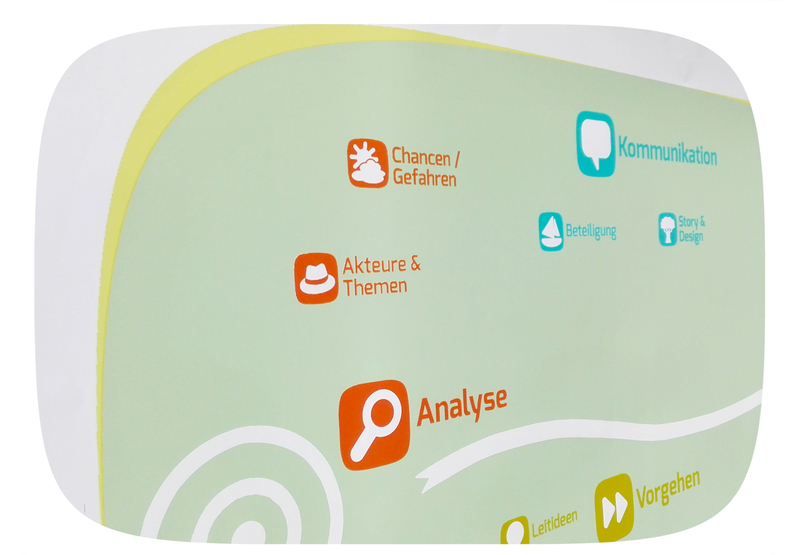 The map enables you to foster a common strategic vision, participation and communication which create a lasting impression. You have an idea you want to flesh out, make easy to understand and share. Maybe you are aiming for change or have a revolutionary goal in mind, but something is holding you back. Using our strategy map, we guide you down the road to your goals by taking evolutionary steps and involving a variety of experts who bring in new perspectives. We design and test concepts early on. Our results are clear and elegant. We are happy to announce the launch of the MINE website on February 6th, 2019. The website has been created by Professor Malte Faber and Marc Frick from the University of Heidelberg, Germany, in cooperation with (r)evolutionary ideas and TOLK. 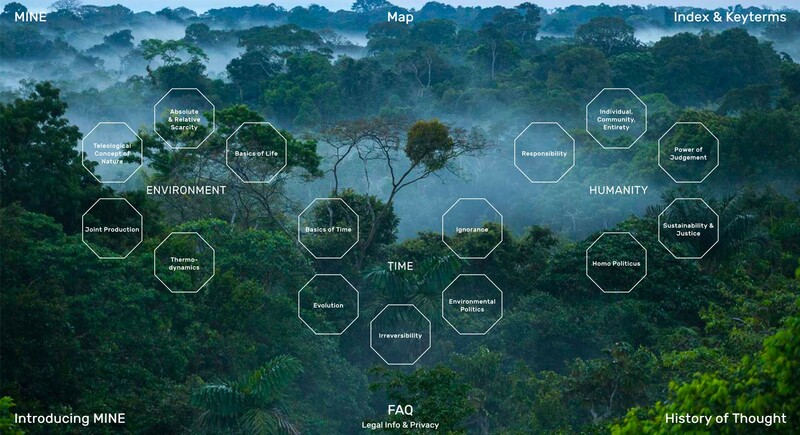 The MINE website explores the interplay between nature and economy. Focusing on such fundamental concepts as time, thermodynamics, evolution, homo politicus and justice, a new outline of economic activity emerges within nature. The dominant approach of economics, which considers nature as a subsystem of the economy, is thus replaced by a broader and more integrated framework. The visual map and its links between concepts provide an orientation. They enable the visitors to approach the content from their own starting points and follow their own paths to discovery. Each concept starts with the historical background and moves on through theory and practice. The research behind MINE began in the 1970s at the University of Heidelberg, Germany, in an interdisciplinary group spearheaded by Professor Malte Faber, including a range of scientists from economics to mathematics, physics and philosophy. The research has contributed to the field of Ecological Economics. Berlin, 26 April 2017: How can you attract qualified personnel? How do you evaluate foreign professional qualifications? How do you hire refugees? How can you foster professional development? And how are these questions connected? Entrepreneurs and managers need quick answers to these questions. They need a concise understanding of the intricacies of hiring practices and how to implement them prudently and effectively along with best-practice guidelines, support, information and competent advisors. The business guide Skilled Workers from Abroad published by the German Chamber of Commerce (Deutsche Industrie- und Handelskammer, DIHK) provides answers to all of these questions. 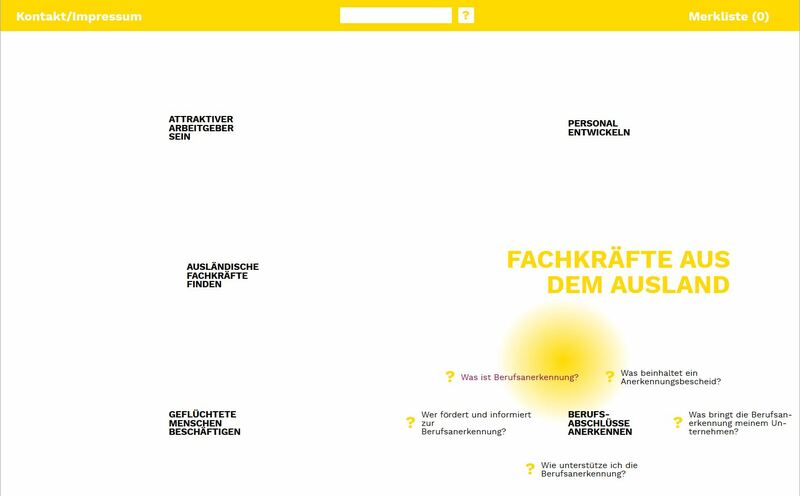 (r)evolutionäre ideen and Studio Tolk developed this online resource for the DIHK Service GmbH’s initiative to aid in assessing foreign professional qualifications. As one HR manager later put it, the resource helped her find answers “in just two clicks”. Berlin, 1 September 2016: Sufficiency means the pursuit of the good life with minimal use of resources. The slogan “simplify your life” concisely captures both the spirit and the potential of this approach. The book Politics of Sufficiency by Angelika Zahrnt and Uwe Schneidewind (2013) shows how political conditions can facilitate sustainable lifestyles. 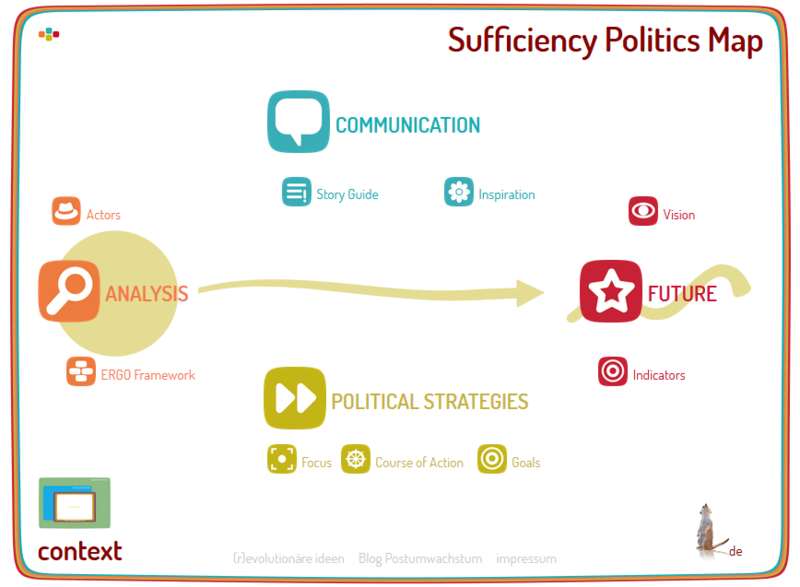 This website takes readers one step further: In accordance with the principle “simplify political activism”, we have transposed the complex field of sufficiency politics into a digital strategy map. Every step of sufficiency politics is explained and illustrated with practical examples.